Many companies are already doing excellent work to measure, reduce and disclose their carbon emissions. Take the logical and compelling next step! Our Solutions represent best practice in sustainability and build value & resilience across your organisation. Corporate Sustainability Fund™ is our flagship solution which enables our customers to lead in sustainability and to protect & increase their shareholder value. 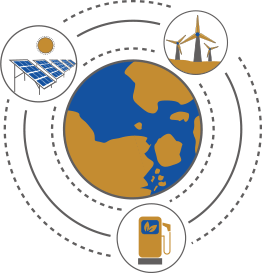 Our customers accumulate their own proprietary Corporate Sustainability Fund™ based on either an internal carbon price levied on their emissions; or a carbon risk-based captive insurance program. We manage each customer’s Corporate Sustainability Fund™ so that it can be invested in an attractive choice of low carbon and resource efficiency projects, both within our customer’s company and externally, across the supply chain, regions and communities that sustain our customer’s business. 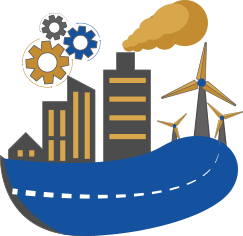 Corporate Sustainability Fund™ mitigates energy, supply chain and other resource-related risks and builds value and resilience within your company. Operating companies pay carbon price, captive insurance premium or option fee into group-owned Corporate Sustainability Fund™. Corporate Sustainability Fund™ invests in attractive range of low carbon and resource efficiency projects, both within the group and externally, across the supply chain, regions and communities that sustain the group. Our Proprietary Methodology – Carbon Insight™, optimises Corporate Sustainability Fund™ performance, based upon both financial and environmental metrics. We also ensure compliance with accounting, tax and GHG reporting requirements. 4:1 is the average ratio of indirect supply chain emissions compared to direct operational emissions, according to a 2017 published CDP supply chain report entitled ‘Missing link: Harnessing the power of purchasing for a sustainable future’. Supply chain decarbonisation is the new frontier of sustainability. Many companies are doing excellent work to reduce their internal (CDP Scope 1 & 2) emissions. The essential next step is to address supply chain issues in a systematic manner. In Martello Low Carbon, we identify and assess the most attractive low carbon projects which decarbonise our customers’ supply chains, both upstream and downstream. These sustainability projects are sourced and assessed thoroughly and are selected to directly address emissions across our customers’ supply chains. Our financial solutions also introduce funders who are interested to co-invest with our corporate customers in the decarbonisation of their supply chains. This co-investment, ideally channelled through our Corporate Sustainability Fund™ structure, both de-risks and extends the scope of our customers’ investments in supply chain decarbonisation. 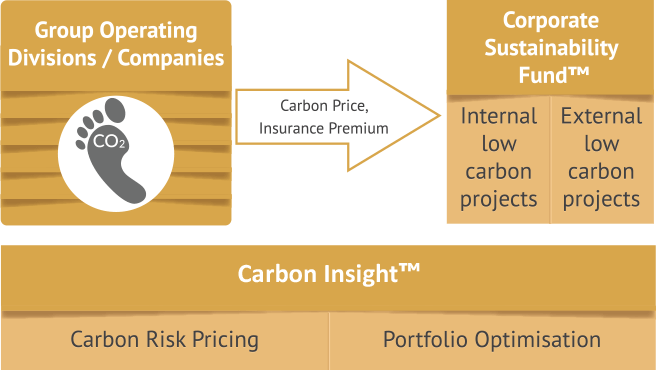 Carbon Insight™ comprises our ground-breaking research in Portfolio and Optimisation Carbon Pricing, a collaboration with leading international experts in climate change and quantitative finance. 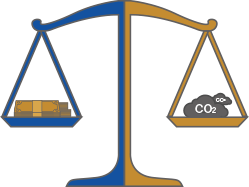 In Portfolio Optimisation, our dual objective function is to maximise project IRR; and, simultaneously, maximise CO2 reduction per risk adjusted $/€/£ invested. In Carbon pricing, we are working on (i) Development of Pricing Models, distinguishing between CDP Scopes 1, 2 and 3; (ii) International Pricing Comparatives for both voluntary and compulsory carbon schemes; and (iii) Carbon Price Forecasts based upon possible future sectoral and country emissions scenarios. Customers use our experience and international comparatives to test and validate their low carbon investment strategy and carbon pricing assumptions. Carbon Insight™ offers our customers the opportunity to implement best practice in sustainability and to corroborate and test their low carbon investment strategy and climate change risk management assumptions. 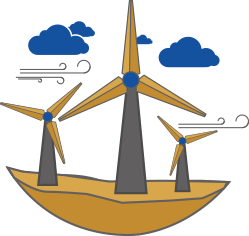 Martello Low Carbon is retained by promoters to obtain funding for their sustainability projects. Promoters recognise that the corporate capital we introduce is an attractive source of funding which understands and is close to the underlying low carbon projects. Synergies across the supply chain are created where projects process waste streams emanating from our corporate investor.